Tokyo will host the 2020 Olympic games after beating out Madrid and Istanbul in the final round of voting. Tokyo became the first Asian country to host an Olympic Games in 1964 and although their bid to host the 2016 games was strong they narrowly missed out to Rio as it is thought that another Olympic games in Asia so soon after the Beijing Olympics in China was not a good idea.. The news was announced at the 125th IOC Session in Buenos Aires Argentina just a few hours ago. I so want to go to an Olympic Games, could Tokyo 2020 be my first? 2020 is less than seven years away, which may seem like a long time but we all know time flies! Wasn’t it the year 2000 two weeks ago? I know I’ll be out of college and at the moment I have nothing planned that for into the future so who knows? Maybe I can start “Operation go to the 2020 Olympics in Japan”? Kinda long but I like the sound of it. Who’s coming with me? Vote in the poll below! 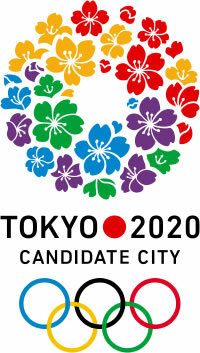 Is it possible that you will go to the 2020 Olympics in Tokyo? We will be going and it will be awesome. The overall buzz & vibe will be dope.